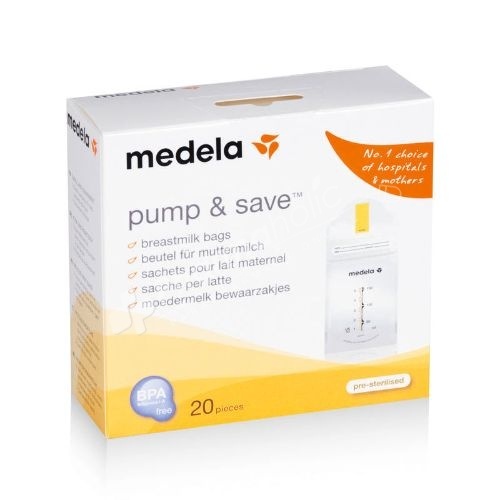 Medela Pump and Save Breast Milk Bags are designed with a protective oxygen barrier. In addition, they have a convenient design that allows them to stand up on their own and they come with an easy-to-close zip top to keep them tightly sealed. To preserve and protect the breast milk nutrients, these Medela breast milk bags are designed with a protective oxygen barrier. In addition, they have a convenient design that allows them to stand up on their own and they come with an easy-to-close zip top to keep them tightly sealed.